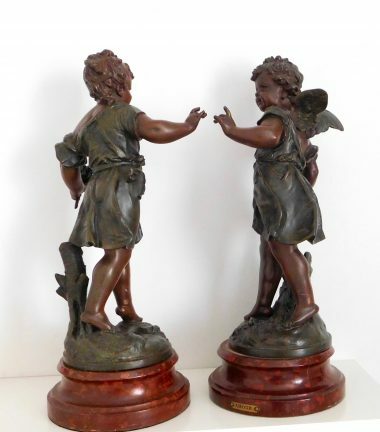 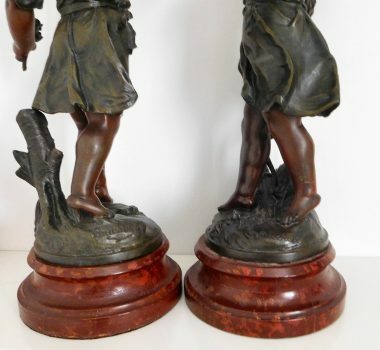 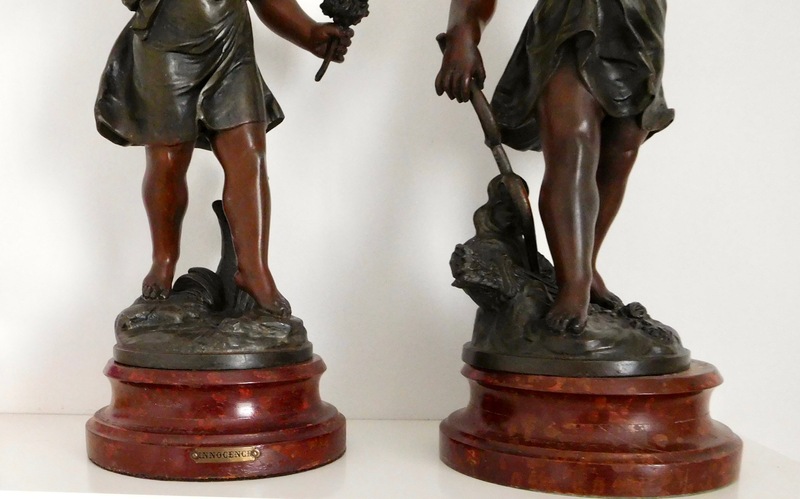 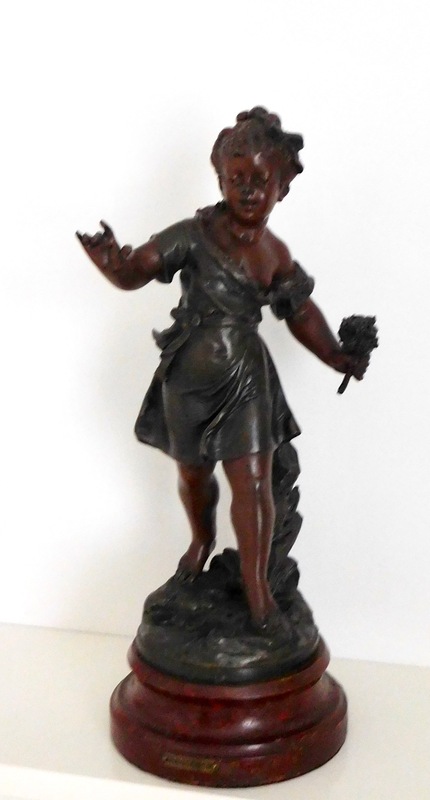 Circa 1910-1930 a pair of attractive spelter cherub figures in very good condition and marked with the Bruchon foundry signature. 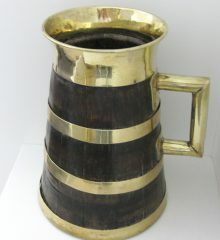 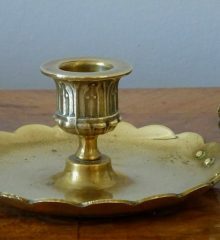 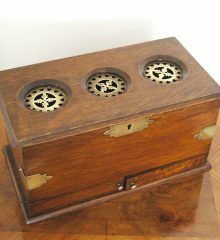 The measure 44cm in height and stand on an 18cm in diameter base. The cherub with outstretched arms is about 24cm in width and the other slightly smaller. 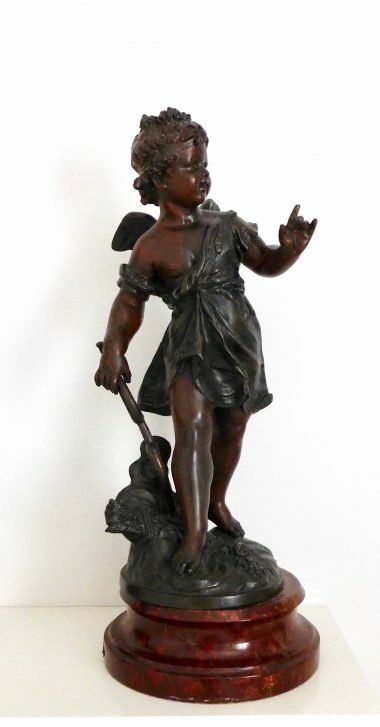 One cherub with wings his holding a stick and a sheath of corn and the label on her base is AMOUR, the other cherub holding a posy is labelled INNOCENCE. 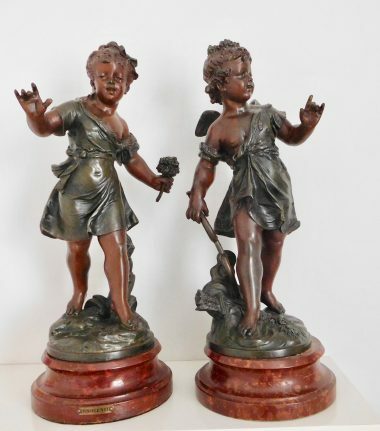 Alternatively, they can be collected from us in SW London by appointment as we no longer sell through a retail outlet, and we will pack them safely and offer a discount on the price.